A new up-coming genre in commercial photography is ‘real estate’. 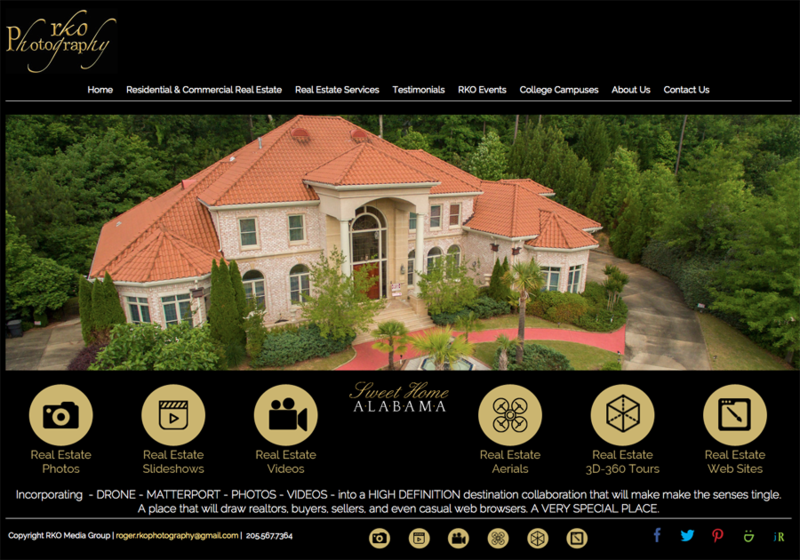 Delivering an “EXCITING” high-definition package of images and videos for real estate is now becoming the standard. The technology brings together potential buyers, sellers and realtors like never before. Home sellers want to tell a ‘story’ about the house. On the other hand, home buyers want to have the ability to view high-definition images and videos. This results in closing the gap – giving potential ‘true buyers’ information before coming out and touring the home. RKO Photography specializes in ‘real estate’ photography and videography. RKO takes advantages of tools such as drones and Mannerport cameras to provide realtors a high-definition package of images and videos for properties. The drones show unique views of the property, adjoining areas, front, back, streets, lakes, golf courses, land, pasture, and many other items in one video. The 3D 360 tours are the newest and best. The ultimate. You can actually navigate throughout the interior of the property. You control where you go which way you turn. It is a 360 degree package allowing you to spin 360 degrees at any area of each room. You may also look at the ceiling and the floor. 3D 360 Tours can be displayed on your web site as well as are mobile friendly – an excellent marketing feature for your Real Estate business. The professional commercial work of RKO has resulted in a 200% increase in business! Additionally, this work has opened the door for RKO with the demand of ‘infomercials’ for real estate complexes and builders. 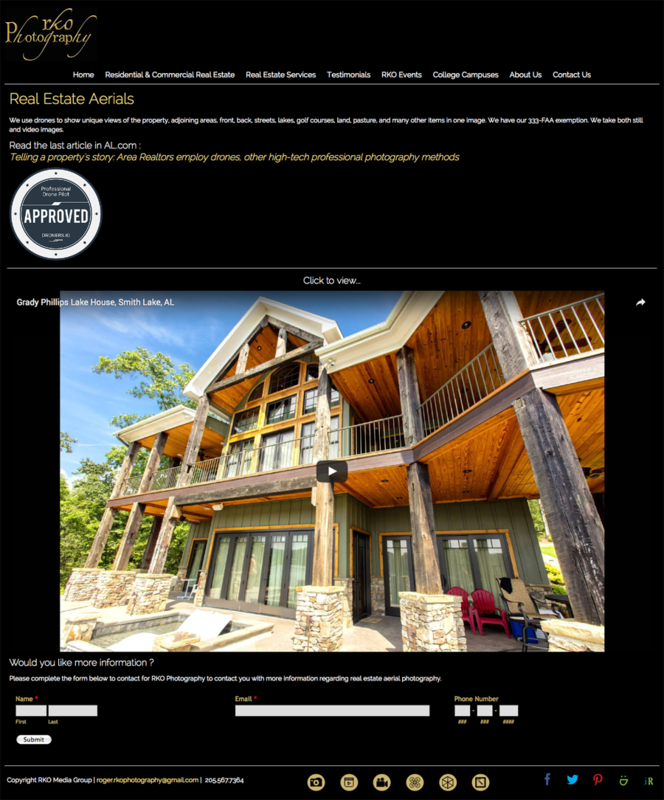 RKO Photography uses SmugMug for hosting High Definition Real Estate Images and Videos for their Realtors. Click to view an example of a 3D-360 Tour (Mannerport) from RKO Photography. 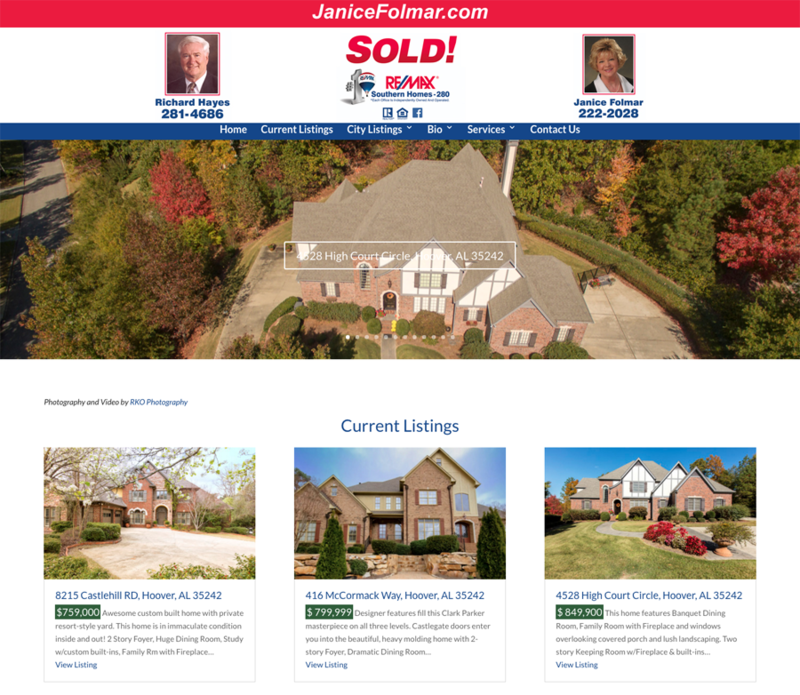 State-of-the-Art websites customized and designed for realtors consists of multiple features to better market their clients on the web and social media. The following are two examples below of Realtors that take advantage of this technology. 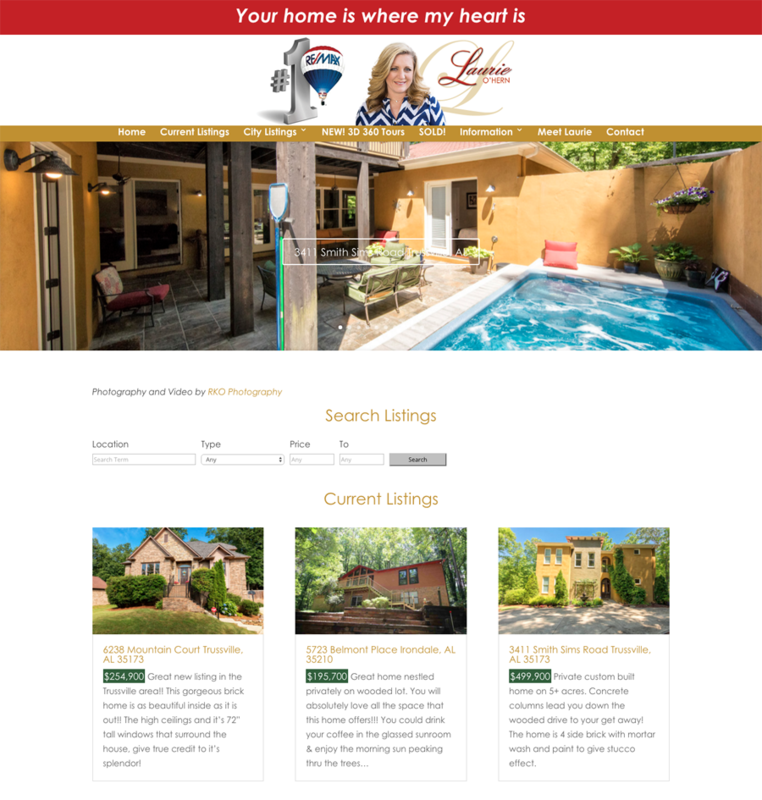 To learn more about Real Estate Web Sites, please contact jR Customization.